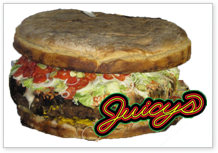 You pick the location and Juicys™ will provide you with the biggest and juiciest hamburger that the world has ever seen. Imagine a 777 lb. burger for your next event! For more information and pricing, please send us an e-mail at info@juicysfood.com. Juicys™ makes every outdoor dining experience an event! 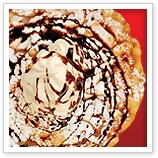 Not all menu items available at all locations.